This picture is from Victor Huynh. This photo reminded me of a Forzato photo I recently saw titled "Exhausting to look at." 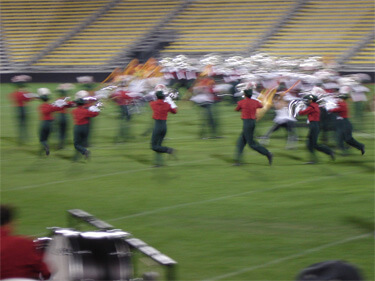 I had this similar photo that involves a circle of mellophones during Santa Clara Vanguard's 2006 show where the group is flying across the field.